Get wall, car, and wireless chargers for the lowest they've ever been. Whether you're waiting for the FedEx truck to bring your shiny new iPhone XS Max or are just trying to get a squeeze more months out of your Galaxy S7, there's one thing you both have in common: the charger that comes in the box isn't good enough. So if you're looking for a better way to juice up your phone, Amazon has you covered today with some all-time lows on Anker's excellent line of high-speed charging accessoriesRemove non-product link. First up, we have the PowerPort II USB-C wall chargerRemove non-product link for an all-time low of $23, down from a list price of $50. This charger comes with dual ports, one USB-C Power Delivery for fast charging and a standard PowerIQ 2.0 USB-A slot, so you'll be able to quickly charge two devices at once. It also has a foldable plug for easy transport. Next is the PowerDrive USB-C car chargerRemove non-product link, also at an all-time low of $22.49, down from a list price of $31. This charger brings dual ports to your car, with one USB-C Power Delivery power for QuickCharge 3.0 devices and one standard USB port for iPhones and other phones. A blue LED indicator also helps you find those ports easily in the dark while giving it a cool look. The PowerWave 7.5W wireless charging padRemove non-product link is also down to a new low of $32 from a list price of $50. This lay-flat mat will charge up your Qi-enabled iPhone or Android phone without needing to plug it in—just set your phone down on the charger's slip-resistant surface and you'll be good to go. And finally, if you need an extra USB-C cable to plug in your Android phone, you can pick up the PowerLine II USB-C cable for $9Remove non-product link, down from a list price of $20 and, you guessed it, an all-time low. This six-foot power cable is built to last, with a promise to withstand 12,000 bends and a lifetime warranty to back it up. 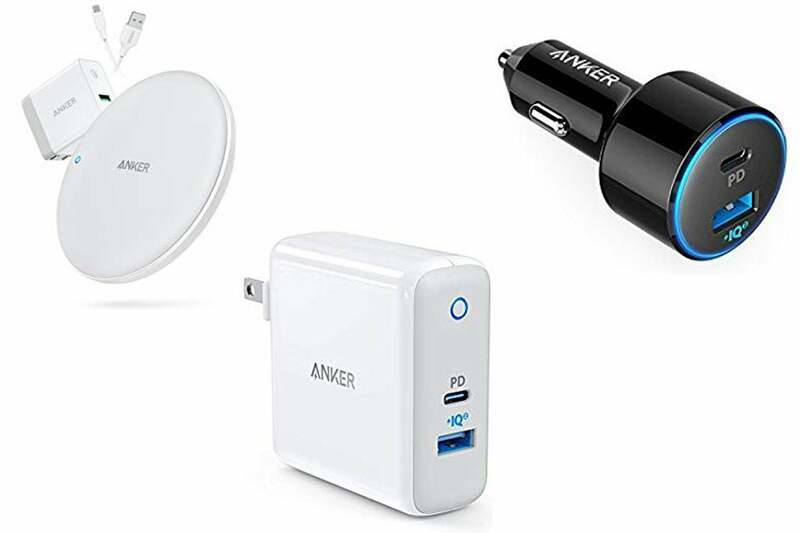 Amazon is also offering a few more Anker charging deals today, so make sure to check out the full lineup of discountsRemove non-product link. This story, "Keep your phone powered up at home or on the go with Amazon's awesome Anker sale" was originally published by Macworld.